Now proudly serving Upper Arlington, Dublin, Hilliard, Worthington, Powell, Westerville, New Albany, Lewis Center, Reynoldsburg, Pataskala, and Delaware. WOW 1 DAY PAINTING Columbus We bring a fast, affordable and high quality solution for all interior or exterior residential, commercial and industrial painting projects. We respect your time as much as you do and provide the quality paint job you expect, in a timeline that is unexpected. We are the local WOW 1 DAY PAINTING Columbus franchise and we are very excited to offer you an exceptional service, high quality workmanship, a state of the art call center, online booking system and professional painters that truly care about offering you that WOW experience! 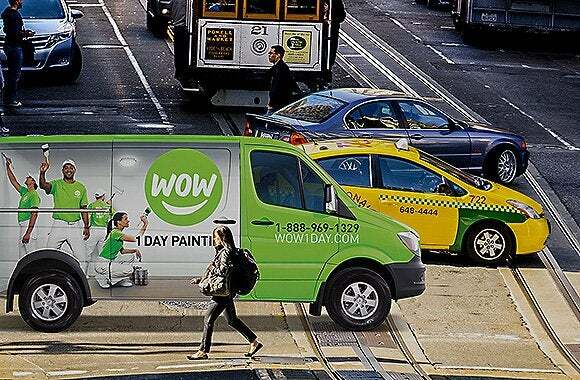 Hopefully you have seen our WOW 1 DAY PAINTING van parked around the Columbus area. I’m sure if you live in Upper Arlington, Dublin, Hilliard, Worthington, Powell, Westerville, New Albany, Lewis Center, Reynoldsburg, Pataskala or Delaware you have seen us! 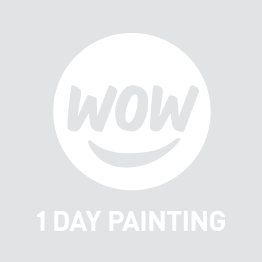 Whether you are moving, completing home renovations, or getting your home ready for guests; WOW 1 DAY PAINTING will be your personal painting solution. At WOW 1 DAY PAINTING Columbus, we know having your home or business painted can be a pain. The mess, the disruption to your life, having strangers in your home often for days don’t make it sound very fun. That’s why we make sure that we never overstay our welcome. We’re in and out as quickly as possible, and we always make sure to put everything back where it belongs. Blink and you’ll miss us! Painting your home isn’t just about looks. The paint on the exterior of your home is its first line of defense. Leaving it unprotected can lead to long-term structural damage and costly repairs. With our Columbus painters at your side, you’ll never have to worry about keeping your house in tip-top shape. We deliver the quality you expect in a timeline that's unexpected. So, how do we do it? It’s easy. We tailor the size of our crews to the project, with the aim to get it done as quickly as possible. Our ultimate goal is creating happy customers. We’re not done until you’re satisfied with the work. WOW 1 DAY PAINTING Columbus has made the process of getting your house painted a whole lot less problematic. We deliver both speed and quality, so you don’t have to shift your whole life around just to get your house painted. You won’t even smell paint fumes after we’re gone—we also use zero VOC paint, which is better for you and the environment. Send you 2 reminder emails that confirm everything you’ll need for an amazing paint day. 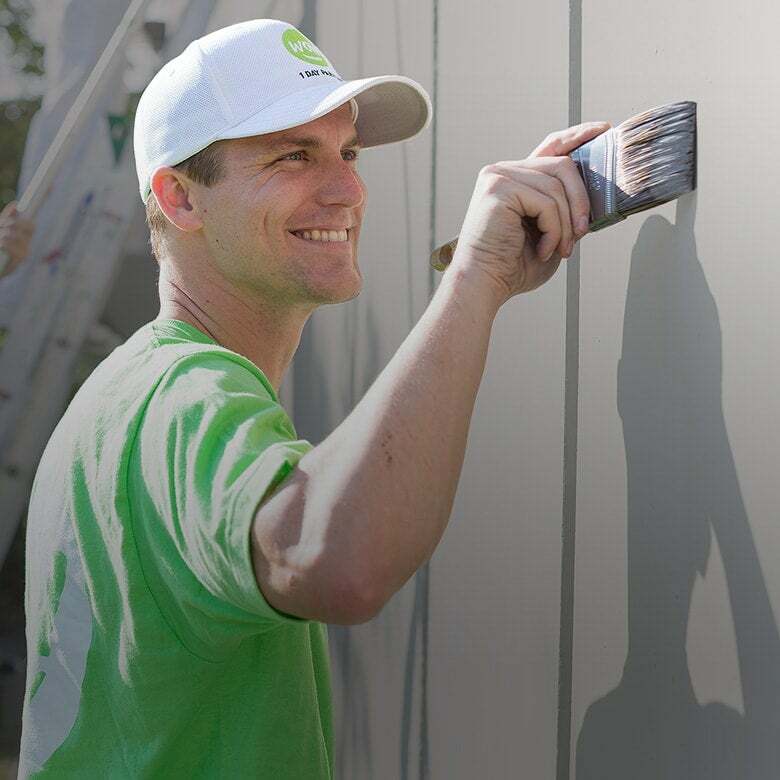 Schedule a Columbus, Ohio Painter Today! If you live or own a business in the Upper Arlington, Dublin, Hilliard, Worthington, Powell, Westerville, New Albany, Lewis Center, Reynoldsburg, Pataskala, or Delaware areas, we want to WOW you! Call us or visit us online for a free on-site estimate today. At WOW 1 DAY PAINTING we are fun, friendly, and passionate about what we do. We are dedicated to delivering you the highest quality paint job in the shortest possible time. Blink and you'll miss us!